If Taurus take something in their head, it is very hard to change their decision. If you say “stubborn” to Taurus, they will certainly explain to you, that they are only patient and cautious. Taurus are very tolerant. However, it is a mistake to try to push them somewhere against their will or to attack their honor. Whether it is a man or a woman, please do not interrupt or correct them. It is also good to avoid criticizing Taurus sharply, especially in public. The element of Taurus is earth. If they do not own a house yet, they surely dream about having one. Their friends must be reliable and honest people who respect good manners. “Hurry slowly” is a real motto of Taurus. They do not like big changes. All Taurus build their own kingdom slowly but steadily. Taurus are quite suspicious toanything new. They keep their feet firmly on the ground. Taurus have a sense of practical and material affairs, and their life style is often very responsible. Although they are prudent and cautious, Taurus are surely romantic! Because the planet of Taurus is Venus. If you say to Taurus that he or she is stubborn, they will certainly disagree and politely explain to you how patient and cautious only they are. But do not be fooled! If Taurus makes up his / her mind, hardly you will change such decision. Imagine a real bull. How do you think you could persuade such animal to voluntarily cross the meadow, if it will stand at some convenient and grassy spot? Hardly! And with the people born under the sign of Taurus is it exactly the same. Their characteristic nature is "persistent" or "headstrong". They are very tolerant. You can romp around and nudge them, but Taurus will consider you as a common insect and sweep the tail at most (or rather shrug off your chatter and foolishness). But beware of pushing them violently somewhere against their will or attacking their honor. That is the biggest mistake that you can do. When you want to advance your own opinion in front of a friend or partner born under the sign of Taurus, please do not do it rudely, especially in public. Whether it's a woman or a man, they will not withstand to be interrupted, corrected or even sharply criticized for long. Once is the Taurus chased into a corner, this kind being changes into a hot engine, which will in the best case immediately disappear from the room and in the worse but much probable scenario Taurus will explain you sharply how rude you are (maybe you even get a slap). Each Taurus is eager to have a pasture (this means a house with a generous garden) because the element of this zodiac sign is the earth. By the way a fertile soil is therefore something inherently close to Taurus. If he or she does not have such dreamed house yet, they are certainly longing to have one in the future (the desire to possess is one of the characteristics features). And in the case, they have to be content only with some modest housing, you can bet that they have at least big pots with flowers and that they are heading to the countryside to breathe fresh air whenever it is possible. Taurus is not very sociable sign. They do not lack friends, on the contrary. But usually they do not have a large number of them. Why? Because real friends must be reliable and decent people who respect good manners. And such are often easy to count on the fingers of one hand. Try a few times not to reply to an e-mail or to cancel an appointment in the last minute and Taurus will immediately suspend you from the category of genuine friends. And by the way, when we talk about friends, the typical Taurus certainly do not desire to have a Facebook profile with three or four-digit number in this box. It is a conservative zodiac sign with a saving attitude. Passivity often suits him or her in many ways. Taurus prefers to invite people rather than to visit them. This, however, only if the household is perfectly cleaned. The order and tidiness means a lot to him / her. Thus, you can count the sense of order among the important characteristics. Another important thing: Taurus is usually not the nervous and restless type. "Hurry slowly" is the characteristic life motto of this zodiac sign. He or she does not like rapid changes. They tend to build the lifelong kingdom slowly but surely. Unlike other signs, Taurus do not understand well why they should manipulate others. After all, everyone knows who is the owner of the meadow where they stand. So, who is really interested will surely find the proper way to meet them. What kind of car is suitable for Taurus? Probably it is not the striking red Ferrari (indeed every bullfighter would tell you that this color is not convenient for the Bull at all). Maybe it will be more subtle, but strong and reliable car with blue color that gives a feeling of calmness and security to its owner. The blue color perfectly fits to his or her decisive, but often quite silent attitude. Once Taurus decide on something, it is hard to change the resulting opinion. They want to be left alone, because they appreciate the calm decision-making. Moreover, they are quite suspicious of anything new. From unusual medical advice or the pension insurance innovations, to the constant development in social networks. All this can make Taurus nervous. They have a sense of the practical and material matters, and they take life very responsibly. A woman, who disapproves partner's friends, will probably completely ignore them. And a tired man, who has no desire to run or walk in the evening, will be an insoluble problem for the sports woman. With this we end our detailed list of Taurus characteristics and we hope that you will enjoy this peaceful and faithful zodiac sign. The earth is a fertile soil beneath our feet. We can touch it. It is a symbol of the material world, that we can grasp and understand with our senses – it is the core of the Taurus personality description. From all the zodiac signs only Taurus has the most direct relation to the essence of the earth. It deals with real, visible world. Taurus people are not worried by philosophical questions in greater extent. What they are interested in, must actually exist and provide prospects for tangible results. How to earn money and pride is usually not needed to explain and teach them. 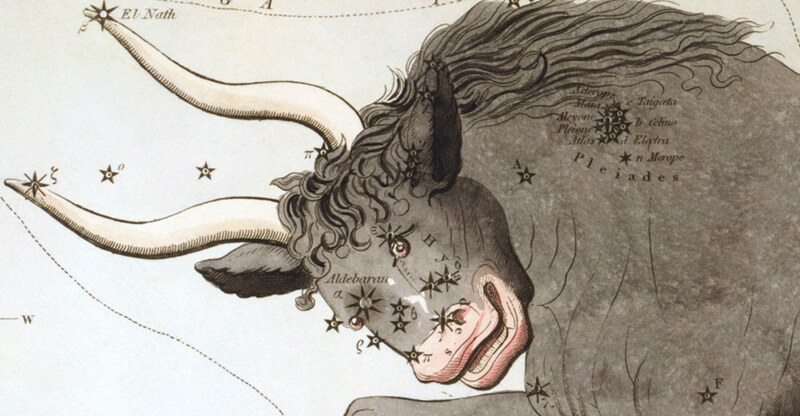 Taurus has an innate talent for resolving material issues and developing strategies to meet the needs. Taurus sees the value in everything that gives him or her the feeling of security. You can describe his / her personality as firm, conservative and practical. People born under this zodiac sign like everything what has “the proper value”, they love to keep such things and relationships (“only clever people can give you something,and you can hardly learn from the stupid”). Taurus often keep things that they do not need any more – because you never know when they can be worth again. Taurus wants to know exactly what is what. Money in the mattress at home are often less risky than on a bank account (“At least they are close at hand and tangible” would Taurus probably say). The prudent and discreet personality of Taurus is a guarantee that they do what they promise. And they carefully think out everything in advance before they make a promise. The gift of perseverance also has its downside. Taurus is the most stable of all twelve signs; often afraid of change, of the unknown and uncertain. This sign tends to hold on the established status quo. Or sometimes to indefinitely continue the outmoded customs or traditions, and is unable to leave them. Yet, what emerges, is the impression that Taurus is tedious and without fantasy. And yes, this adherence to tradition undermines to certain extent the creative power of Taurus, instead of supporting it and proving that Taurus is very confident. People born under this sign adapt only slowly and it takes a while before they decide to embark on something new. If they are, however, once in motion, then they can hardly be stopped. What concerns the relationship, people born under the sign of Taurus need the partner's physical presence. But sometimes they do not realize that the other can be indeed physically present, but his or her spirit, however, can be very far at the same time. But because their thinking is focused on assurance, they love the counterpart and are loyal to him or her throughout the life. Taurus can enjoy life especially in the circle of people among whom they feel equal. Usually solid and reliable group, ideally with adequate property and financial background. Predictable, honest, trustworthy – all that you can count to Taurus personality description considering love and relationships. Situations when they are losing something, give an opportunity to get to know the choleric side of their usually peaceful personality. Important aspect in this case is the quick response. Who can appreciate his or her deliberate, thorough and solid character, has also a reliable friend and partner. Have you ever heard that Taurus went shopping and never came back home? This can happen only rarely, and most likely not at all. Because it does not fit at all to its personality description. Taurus man is betting on a certainty and is generally satisfied with himself. He never forgets birthdays or the wedding anniversary. He likes to buy and collect things and he is able to take care of the family. Taurus man is confident and relaxed, but only there where he feels like at home. Taurus man is usually not an enthusiastic traveller or a wild driver. He is tied to traditions and is aware of his qualities. Even though Aries is a prudent and cautious man, he is definitely a romantic! It is no coincidence that his planet is Venus (the planet of love and money). He will not jump from the cliff like an eagle heading to a prey, when wanting to put his arms round you. But if he concludes that you are the best one, he will be able to patiently send roses one after another every day throughout the whole year, until he will convince you about the depth of his feelings. Patience and care are simply noticeable among his personality traits. The Taurus “speedometer” is set only to one speed by the men. Attempts to draw Taurus into the vortex of social events or to rouse him for some crazy action are likely to be unsuccessful. If Taurus wants a boisterous fun, you can be sure he will express it clearly. If you want to surprise him and you decide to organize an unannounced party, please certainly not invite any questionable individuals. He will appreciate only friends who have a serious objective and reasonable ambitions. If you will choose Taurus as a mate or husband, most likely you will have no reasons to complain. Unlike many other dreamers, he will not build castles in the air, but arrange a real house with real money. Realism, practicality and prudence are very important traits of his personality. Often he will be calm and tolerant. But Taurus man will also honestly save each penny on your common future, what as a basis for a new and solid relationship is a very good starting point. The Taurus woman is usually culturally oriented. She is interested in arts and music. She is often talented and overall aesthetically perceptive. The Taurus woman has an excellent relation to sensory experience: from good food, massage, music, romance to the smell of a spring meadow. That is all what you can enjoy with a Taurus wife or friend. Conversely, gossip or slander are not usual to her. The Taurus woman has her feet firmly on the ground. She is definitely not changeable and she has the sense of order, tradition and obligation. Women born under the sign of Taurus take pride in private life and in material security. When you go to visit her, please note that the door usually has an additional security lock. Perhaps she will say that it is because of insurance, but do not believe it, the reason is definitely a feeling of greater safety. This, however, comes only in the case that she also has adequate supply of food in the fridge and in the pantry. Practicality and foresight are apparent among her personality traits. She is trying to avoid open conflicts. “Live and let live” that is her philosophy. If the Taurus woman does not like someone, she simply ignores him or her, but she is not trying to find ways to annoy such person. Conversely, if she falls in love with a man, she will struggle for him, no matter what happens. The Taurus woman is strong and persistent in love and she finds always some excuse when things go wrong at the moment. When you are dismissed, when you break your leg or when your suitcase is stolen at the airport, you always have a firm support next to you. She will not start crying when first troubles will appear. But such a woman expects that you will return the utter sincerity in an appropriate way to her. Although she is tolerant, infidelity is the last thing she would forgive. She is ready for the fact that men often flirt (an intimate talk) with women. The Aries girlfriend will not make a fuss, because the partner looks on a beauty from time to time. Hence, certain benevolence is an important trait of her personality. But the element of this zodiac sign is the earth, so these women are naturally longing for a solid relationship and a tangible contact. You will probably not be a good match as a business traveller who shows up at home only at weekends. The Taurus woman yearns to be kissed every morning on the forehead by someone who will give her also a gentle hug in the evening.